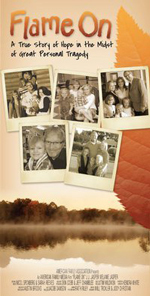 Pro-life, Pro–family movies have a very powerful impact on the hearts and minds of people. In April we helped bring October Baby to the Iowa City area. We were even able to give tickets away at the local high school and to youth ministries in the area. Here is a small sample of the many comments we received. We had such a wonderful response to the October Baby movie that we have purchased a license that allows us to show the movie at churches and youth events before it becomes available on DVD. There are many wonderful movies that have a Pro-life/Pro-family message. This summer we will be sponsoring Pro-LIFE movie nights in churches across Iowa. CLICK HERE for a list of movies, dates, times, and locations. The movies will be free to attend. After the movie, there will be an opportunity to make a donation to the clinic. We will be kicking off the series with the movie PAPER DREAM. 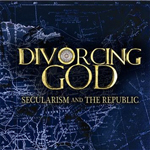 If you cannot make it on June 29th you can order your own copy of the movie from Informed Choices for a suggested donation of $25.00 (or more). 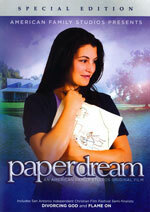 PAPER DREAM is about Christy and her dream. For as long as she can remember, Christy Davis has wanted to be a mom, but things haven’t worked out the way she imagined them. When hopes of getting pregnant fall through, she and her husband Matt turn to adoption, but will that be enough to fill their longing for a child.